A new campaign has been launched to rename the common navy blue ‘wife beater’ singlet. The This Is Not A Wife Beater campaign seeks to rename the singlets ‘respecters’, drawing attention to the indefensible idea of supporting domestic violence in an effort to promote respect in all kinds of relationships. The leader of the campaign is Canberra woman Alisa Draskovic, who has worked for years in the community services sector. She says she wants the singlets to become “a symbol for everybody”. “I think there is this negative association with singlets, with men who are assumed to be violent due to their socioeconomic background,” she said in an interview this week with the ABC. 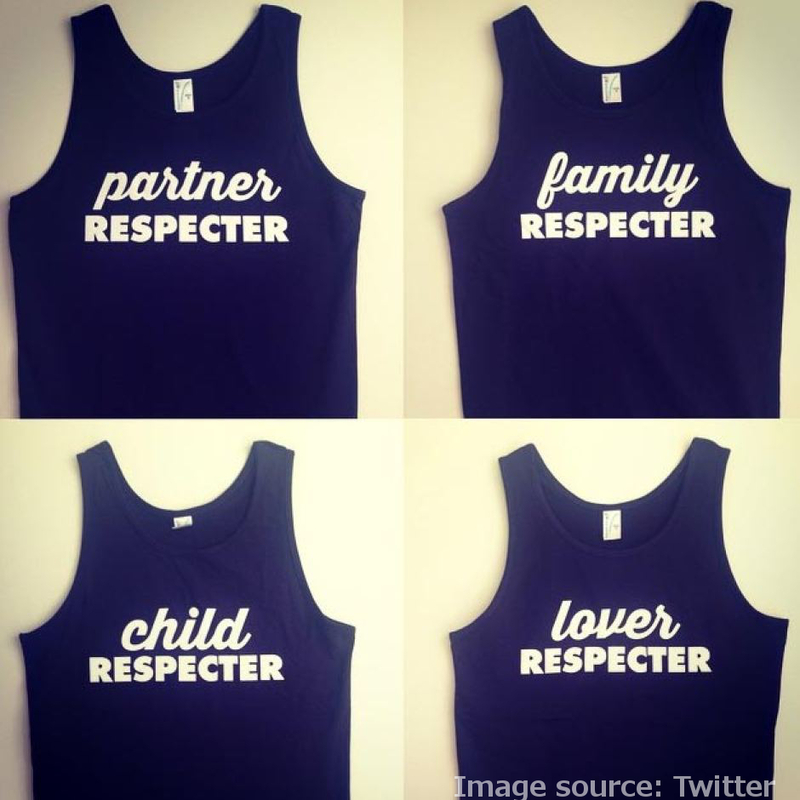 Ms Draskovic has released a new line of blue respecter singlets, which promote partner respecters, family respecters, child respecters, lover respecters and more. “They all refer to the different relationships within which intimate partner and family violence takes place,” she said. “This campaign was started in 2013. I worked on it with the Australian National University women's department and we established it as a semester-long, student advocacy campaign... so that's where it originated. “It didn't make sense to me and I wanted to challenge that [and] challenge other people to think differently about that,” she said. The not-for-profit campaign aims to put money back into community organisations that combat domestic violence. It was launched in Canberra this week, and has won support from the Domestic Violence Crisis Service, the Domestic Violence Prevention Council, MensLink, other community organisations and the ACT Government. ACT Minister for Women Yvette Berry said the way that people talk about domestic violence needs to change. “There's often conversations that we have with each other, for example you might get a black eye from an injury at sport and someone will say; ‘Oh yeah, you got that from running into a door at home did you?’ Making a joke out of something that's quite serious,” she said. “It's about thinking about what we're saying and how we are talking about domestic violence, how we are reacting to it.